What is the purpose of the Motor Run Capacitor? Looking at a control box for a marine Air Conditioner and it has a HUGE capacitor in it. The schematics label it a "Motor Run Capacitor", but I always thought it was just used to start the motor. What function does a huge cap like this have in running the motor? The Air Conditioner is being run off AC power from a generator, no DC involved. It's more than likely a single phase induction motor. Not the answer you're looking for? 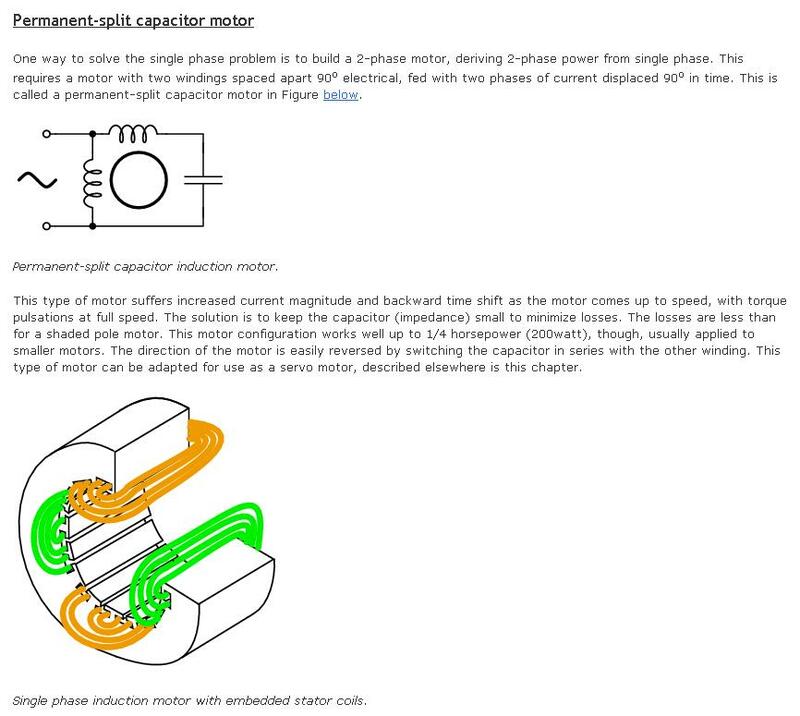 Browse other questions tagged capacitor motor or ask your own question. Difference between capacitor start and capacitor run Induction motors? How does a capacitor function in a 120v ac motor circuit? How can i make my 380/380 volts motor to run on 220 volts? Will a start capacitor be damaged by an overloaded motor?